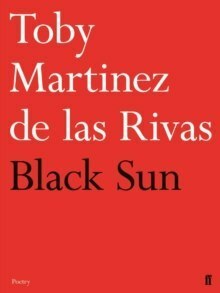 Toby Martinez de las Rivas is regarded as one of the most distinctive voices to have emerged in recent times; to some, a modern-day William Blake. The Guardian described Terror, his first book, as 'visionary' and 'exciting', the New Statesman as 'remarkable', and all combined to praise its brave and lucid intensity. Black Sun is a sequel of poise and clarity that is, if anything, more open and accessible than its predecessor. Beginning where Terror left off, it pursues that book's fascination with history and with theology, with the physical body and the body of the State, with preservation and redemption. Black Sun confronts the dark dreams and hidden powers of this world, and, through the poet's attentive watching and wondering, offers its readers a way 'to know - & still to resist a last despair'. 'A lucid and spontaneous lyricism .